Today I get to tell you about a fantastic new book! Splash of Color: A Rainbow of Brilliant Black and White Quilts by Jackie Kunkel is a beautiful collection of quilts sure to inspire you! Jackie has been a friend for a number of years, and I’m so excited to see her add author to her long list of accomplishments. She’s an excellent teacher, and her encouraging and precise voice comes through in the writing of the patterns and instruction in Splash of Color. There’s a little bit of everything in the book, with simple piecing, paper piecing and curves you will definitely find a quilt that speaks to you! Crossroads is a stunner! I love the variety of prints in the black and white fabrics, and the colorful bits are so dynamic. The table runner and placemat set, called It’s a Celebration is so fun – I might have to make it for the triangle border alone! Dreaming of Pyramids is another great quilt, I love the balance the solid fabrics lend to the black and white prints. Jackie has expert advice for mixing prints, and colors so that you can have stunning success with any of the patterns you decide to make! As you can see, the quilts in Splash of Color, are all about black and white prints with a touch of color added in. Some quilts have the whole rainbow, and others are focused on just a few. Many of the quilts are shown with a second option, solids, or alternate color ways are explored to further your inspiration. Today is the last day of the hop, be sure to visit all the other bloggers to learn more about Splash of Color, and enter to win your own copy of the book! Pat Wys – Silver Thimble Quilt Co.
Autographed copies of Splash of Color are available here, or you can purchase through Amazon or Martingale. **Enter to win an ebook of Splash of Color by leaving a comment here. Tell me about your current project, especially if it’s a rainbow! Winner will be announced October 5th – Good luck! I have a project on my design wall that is made up of black and white triangles with a rainbow color wheel hexagon (made up of triangles). I love the mix of blank and whites with vibrant colors! The quilts in Jackie’s book are amazing, love her way of using bright colors together with black and white. I get inspired making my own version of one of these quilts. I have recently finished a charity quilt for the children’s ward at my local hospital: Modern Buzz Saw, a really scrappy version, and a Modern Geometrics table runner. Both have lots of colors, but not as bright as Jackie’s works. I’ve just finished a couple of projects. The next one I have to get going on is a wedding quilt for my niece. I’m planning to make Jenny Doan’s lovenotes in many colors. I am finishing up a charity quilt for Quilts for Kids. It’s all scrappy using 3.5 inch squares. Simple. I’m currently working on two quilts, using the Three Dudes Quilt that Rob Appell modified. One is pinks and purples, which is pretty, and the other is rainbow. I wish the colors flowed a bit more like a rainbow, but I do love the quilt. I have both tops done, just need to get them quilted and off to my nieces. My current project is finishing the quilting on a twin size quilt. I’m itching to start a new project. One that I will start soon has a rainbow. It’s called Elephant and I by Jennifer Sampou. I have five quilts done, ready to quilt. I am hand quilting an appliqued snowman quilt, but think I will take two to a long arm quilter. That leaves me with two more to decide how to quilt, and then I can start again!! A rainbow quilt sounds interesting!! I am making a Dr Who quilt for my Granddaughter. My current project is using Dresden stars. Not rainbow but this book intrigues me. My current project is a Halloween quilt & fabric by Moda called Boo Crew. I’m making a Goody Goody Binding Bag. I’m working on adding appliqué blocks to some basket blocks that I made last year at my local LQS. I am using 30s fabrics which are bright and cheerful. Thanks for sharing more quilts from Jackie’s book, the more I see, the more interested I am in getting a copy if her book. I love those black fabrics with color dots, dashes, etc. It make for a special quilt. My current project is not a rainbow quilt — it is an improve quilt with kid fabrics for my nephew who is one and a half. I’m excited to finish it and give it to him! Not a rainbow just a shades of gray quilt. My current project is a scrappy pinwheel quilt for my little girl- not a rainbow, just pinks, blues, and yellows. 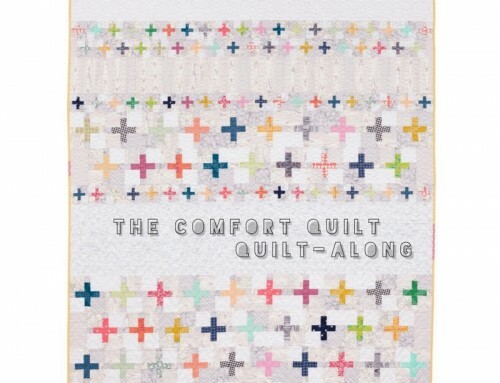 I am loving the projects I’m seeing from this book- a rainbow quilt in certainly in my future! I am working on a fall table topper. Rainbow diamond queen size reversible to to winter design. Just have to quilt it. Trying to learn free motion, have a tension nightmare. No rainbows right now–I’m working on a Halloween quilt. I’m working on a few different projects mostly baby blankets for a few little ones due around the holidays. I’m working on a quilt that is called delectable flowers, its main color is raspberry, there are 30 plain raspberry and 30 different flowers one of each fabric. Current project is a baby quilt, its not a rainbow but maybe my next one will be! Just love black and white with rainbow colors! I am making baby quilts for a new grandson coming soon. These colors would be perfect! Oh yeah I like rainbows too but my latest is a one quilt square block. It’s 3 colors, dark green, black and cream. I used many of my charm packs to make up the tone on tone 9 36″ squares, cut all but 1 into big HSTs and sewed them together. It’s for my SIL , they are his favorite colors. I think I like it, it sure is big. Thanks. love the depth you get with the black and white. The book looks great. I HS TO ADMIT THAT I HAVE NEVER USED JUST B & W IN A QUILT B/C FRANKLY ITS NOT MY STYLE BUT WOW LOVE THE ADDITION OF COLOR! RIGHT NOW I AM RECOVERING FROM A BROKEN WRIST. NEEDLESS TO SAY I AM HAVE MAJOR SEWING WITHDRAWALS & PLANNING MY NEXT QUILT! Jackie’s book “Splash of Color” is awesome – I would love to learn more about the use of contrasting colors and a rainbow color spectrum. At this time I am all about Halloween – orange and black on a quilt, table toppers and table runners! I’m working on pillows for Christmas gifts. So anything with a holiday theme at the moment. From red, green & white to aqua and red to blues. Love seeing all the quilts in the book in alternate color ways. So cool. Working on christmas wallhangings. My rainbow is the red, white and green stripe binding. Love the pops of color in the Book! Keeping my fingers crossed. Thanks! Currently working on a baby quilt for new Granbaby…in Ocean theme fabrics..definitely Bright “Rainbowy” colors! Know he will love it already…lots to look at! my current project is a lap quilt to donate to raise money for the junior livestock 4H and ffa kids in elgin, texas. no rainbows just fish and water. My current project is a lap quilt with mini charms and jelly rolls. No rainbow but maybe next time! The book looks super cool and I can always use inspiration. Thank You. An improve quilt using low volume prints BUT I love using brights with black and whites. I am working on a quilt that uses only solids and ombre fabrics as circles on a solid background of gray…definitely a rainbow of color going on there…need to figure out how to quilt it now!!! Love all of Jackie’s quilts and want to make them all! Just finished a min using black and white and a rainbow of colors! Love the book! I have two small quilts that I am trying to finish in the next few weeks. One is a butterfly quilt, made with many bright colors, and the other is a pumpkin table topper. I want/need to get back to my quilting/sewing projects! I’ve been knitting way too much and need a break! Sadly, I’m not working on anything at the moment because everything is in storage! I am indeed just finishing a rainbow quilt. A rainbow of solids and a colours on white print. Just have to choose the binding and I’ll be done! I’m working on an Amish quilt – first time not using any prints. I am currently on vacation so my only project is some hexes. They are from 2 1/2″ Scrap squares, so I suppose they are a rainbow of sorts! Love your colorful table runner. Thanks for sharing the giveaway. I am working on 5, yes, 5, quilts to give my children and grandchildren for christmas. I work on a different one everyday. I have not longcompleted a quilt of Elizabeth Hartmans Kittens. The background was black on white fabri s and the kittens were rainbow shades. It would fit right in with the quilts in Jackies book. Just finished paper piecing the Arcadia Avenue blocks. Now to put together the quilt top. Thank you for a chance to win. I’m making a baby quilt at the moment – pink for a girl !! My current project is a baby quilt for my grand-nephew. It is a series of different width strips so it is sort of a rainbow! Current projects are a lap quilt for a gift and a baby quilt for a grand child. My current project is a Hunter’s star quilted tablecloth that will be used at Christmas. Thanks! I’m just finishing some redwork pillowcases for Christmas – hopefully to become a ‘Night Before Christmas’ tradition for 2 kids. Thanks for the chance! Well, my current project is a wall quilt from an Advanced quiltmaking course, which includes a Mariner’s compass in the center, stem and leaf applique around it, and a French braid border and then a solid border. It is an exercise in the rainbor on the green to deep blue violet spectrum, usually mostly batiks, and most of them in the tie-dyed “washed” type. So it is a rainbow on the water. I’m at the quilting & appliquilting stage so may have it done in a couple of weeks! I’m working on a donation quilt made from 5″ squares. It looks like a great book. I have been collecting fabrics fir a black, gray, white, and yellow quilt. Thought I would do a DNP, but the book would give me other options. I working on a scrappy star paper pieced quilt. Definitely not rainbow , but very colorful. Working on a batik rainbow “rail” quilt in 3 block sizes set in an ombre effect with a few blue butterflies appliqued on it. 2,400 pieces – each pieced, no quick stripping – calling in “When Blue Butterflies Dream!” I just finished marking it for FMQ about 5 minutes ago….warming up my sewing machine, vroom vroom. There is rain here, but sadly no rainbows — in the sky or on quilts! I have just made a giant pillow with a spectacular paper pieced block on the front. Now it’s on to make a baby quilt. which of the current 6 projects to talk about….? My best friend of 22 years is pregnant with baby #4 and I realized that I’ve never done anything for her other babies (what a great friend I am :/) so I’m finishing up a cute quilt from a pattern I saw on youtube by fatquartershop and it’s turning out so cute!! Just gotta finish the binding. I’ve just started cutting 240 hexies, each one different and very colorful to make the quilt Hexie Kisses. The other main fabric is grey and white polka dots. Love the colors in these quilts from this book. My current project is an embroidered quilt by HoopSisters. It is taking longer than I expected but I am happy with the colour choices of cream, greens, golden yellow and sort of a brick red as an accent. Beautiful projects love the black and white contrast with the colors! I can’t wait to give it to her this weekend! I’m working on Gravity by Jaybird quilts right now, only I’m using batiks and some prints mixed in instead of solids. Black and white quilts are my favorite. I need more color in my life. Working on a giraffe quilt by Bean Counter Quilts. My current project is a baby quilt. Not rainbow, just white with many blue fabrics. I am working at finishing up some quilts. So nothing new in the works right now. Just sewed the binding on an “I Spy” quilt in the making for (ashamed to say) 6 years–trying to reduce the UFO pile! Would like my niece’s daughter to get it before she goes off to college… My collection of black and white fabrics are talking to me and these quilts look tempting. I’m in the midst of quilting a jewel box quilt made from scraps of just about every fabric I’ve ever owned. It is definitely a rainbow! Current project is Leah Day’s Building Blocks with her pre-printed, colorful Spoonflower fabric. No black, but white and a rainbow of colors. I’m working on three Christmas quilts for me. I’ve decided this year that I’m going to really decorate my home up right. I am working on some Christmas place mats. I am working on a scrap quilt so I would definitely say it’s a rainbow of color. This looks like a great book. I love Dreaming of Pyramids. Working on a bunch of things right now, but top priority is my Dog Gone Cute project (Sew Fresh Quilts). Thanksl for sharing. I’m currently making a Disney Princess quilt bed cover for my Granddaughter. I’m also working on a wall hanging for our 25th wedding anniversary. It’s made with batik colors and starting yellow-orange in one corner going intoo reds, blues, greens, purples and so many in between. I hope I have it finished. I call it Our love, colors representing our lives and everything we have been to each other for 28 yrs. I have a couple of rainbow projects in the works right now, one of them with white and black prints for backgrounds, just like the ones from Jackie’s book. I would love to win a copy! Working on some baby items right now. 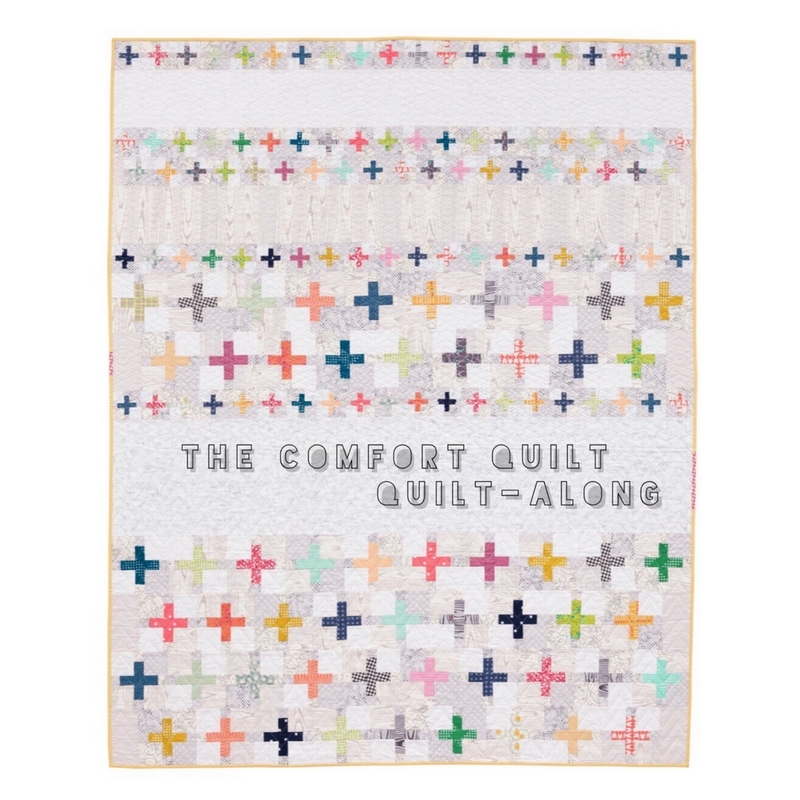 Love the black & white & color quilts! I love this book! My current project is very simple. I’m making a fleece blanket for my cousin who is pregnant with her first child. It’s a boy and they have an elephant theme going. I didn’t feel like making a quilt, so I went for something simple. Currently we work on some Christmas presents, all cheerful colored but not specially rainbows. I’m working on a Christmas quilt for my daughter right now. . Thanks for your wonderful post filled with eye candy! That would be plural for me. I’m working on my 1st Judy Niemyer quilt, Celebration–it’s in red violets & greens. I also just started ma. I’m making some in blues & some in reds–my grand daughter’s favorite color is blue & my grandson’s favorite color is red! I don’t have a project at the moment, but going through this blog hop I think I will have one soon! Thx! Great review, Amy. Love the large photos! Thanks for joining the hop. My current projects are some knitting and cleaning up my sewing room, so that I can get back to quilting! My favorites happen to be the primary colors of the rainbow. No rainbow right now, two baby quilts for a beautiful baby boy. Lately I’ve been loving playing with black on whites with white on blacks and a splash of bright color. Also trying to get more of a modern looking quilt. So, the quilts I’ve seen from this book are an exciting collection. I am working on some aprons for Christmas gifts. Love the pyramid quilt! I’m working on two quilts- one for my father for Christmas and the other for my daughter ‘s wedding in July. Then I want to start on one for my bedroom. No rainbow colors for any of them but I have plenty of those colors in my stash along with black and white! I am working on an improv “smiley” face quilt that my granddaughter requested for her birthday next month. The background uses many shades of light to medium value blues, greens and purples and the smiley face is yellow, of course, with black thread painting for the facial features. I am having a lot of fun with it!. Looks like a fun book! I’m just getting ready to start Farm Girl Vintage which will be done with a huge pile of bright scraps. But I’m really tempted by these dynamic black & white plus color pieces I’m seeing. This book is right up my alley. I have may tops in the process. Part way through another spiders web for charity. Starting to do some quilt as you go on old spiderweb triangles so I can get one of them finished. I am not currently working on any significant quilting projects right now because my machine is out of commission but that doesn’t stop me from looking for inspiration! Currently I am working on a feathers and mini stipples project from a Sue Nickles book.I love how it’s coming out. Wow, what great colourful projects! I’m currently working on a mini quilt using EPP. It’s not rainbow though, although I think it might look better if it was! Hello Amy. I just found ur pic in a Baby Lock ad, in the new Quilt Sample magazine. Your site is great! I’m working on a scrappy quilt that has a lot of bright colors. I am working on Halloween costumes, goody bags and Christmas gifts! It is a fun time of year. I love the colour scheme of black and white with some contrasting colours- this book is ideal! Actually, I’m working on my daughter’s wedding plans for November, so all my projects are on hold.